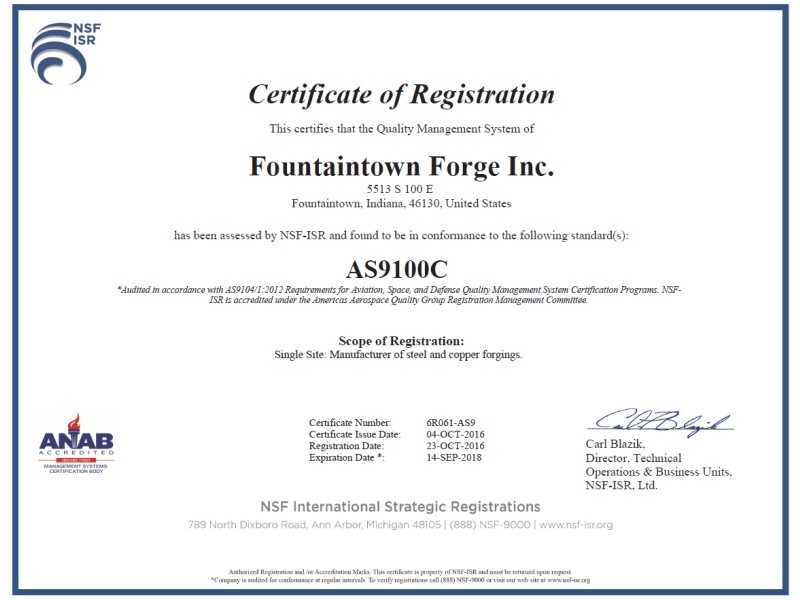 Fountaintown Forge has been a supplier of quality custom forgings to the Aerospace Industry for over 40 years. We have experience in working with many of the special metals required to produce quality Aerospace industry forgings. We produce parts for Helicopters, tanks, off road vehicles, rotors, fighter aircraft and submarines. 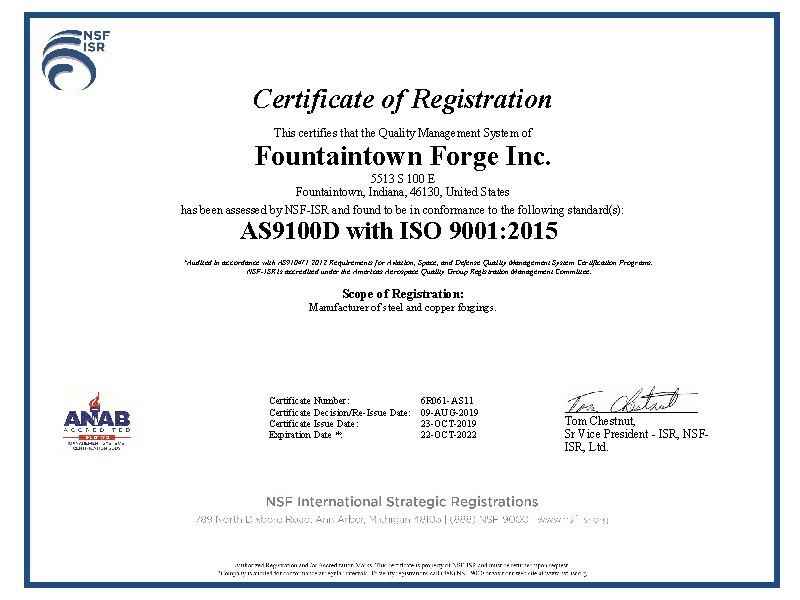 All custom Aerospace forgings are designed and manufactured to meet the strict standards for the Aerospace Industry. These materials are used for material strength, corrosion-resistant, and abrasive resistant.